Really have to say now 2012 is the iconic year of my life with great back to back bollywood movies. Many out of the box movies released this year. Until now it was Vicky Donor which really stoned my brain. 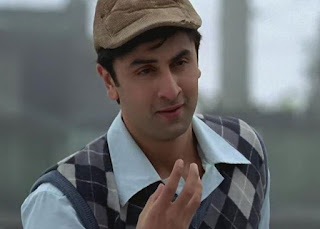 But today I saw Barfi and it left my heart blank with full of emotions. Usually I don't watch movies which have chocolate heroes like Ranvir Kapoor. But I bet myself after reading directors name Anurag Basu who made Metro. Till today I never liked Ranvir Kapoor (I didn't saw Rockstar yet :P) as an actor but after Barfi he will be remembered as critically acclaimed actor who hail from 'filmy family'. I am not able to find words for work done by Ranvir, Priyanka & equally Ileana. This was the best love triangle I ever saw in bollywood for sure & many critics will also agree with this. Making films might be a job of selling peanuts. But making films that stone heart of millions is most difficult job. I don't know much about technical part in making films but I noticed what kind of efforts have taken by all team of Barfi from script, direction, music, editing, cinematography. etc. It looks easy to take shot but portraying expressions as well as achieve expression from actor is very very difficult job & I heard this film has taken small period to shoot. Outstanding effort by all of them. I don't care if some scenes were stolen from hollywood movies but overall you cannot deny efforts taken by Barfi team. About film story: If you look back and remind movie you will difficult to find great story. It is a story that sometime you can also visualize. But art is making film in effective way. Each scene, each character, each expression have left impact on audience.You will be smile for small things in films but it will also difficult to hold your tears in eyes in some scenes. After long time I saw a love story where all characters were having clear heart. Barfi first meet Shruti and after good time they fall in love. But after knowing her husband has come to take away he easily got over and smiles. Shruti falls fully in love with this at that point. Due to fathers incident Barfi caught into situation where he come closer to Zilmil who is autism patient. Barfi's care for Zilmil make her fall in love with him. He also started caring and loving her. Finally justice is shown in film and this is heart warming part. Each characters clean heart expression reduced the need for dialogs. You will start speaking words in you mind when actors expresses something to each other. (A scene where Zilmil calls from Muskaan home and Shruti & Barfi walks. When Shruti heard Zilmil's voice she just smiles and her only eyes speaks. That incident shows how much effort actor & director have taken). Many scenes in this films were outstanding. Murfi munna jaisa lalla Amma ka tha sapna. Baba ne Ceylon wala station, Radio on hua amma off hui, Toota har sapna.."
This song sets up the mood of movie and lyrics bring audience much closer to emotions portrayed in movie. And other songs carried the mood of 1970's very well. Swanand Kirkire is superstar lyricist in current scenario. He is writing words that warms your heart with full of emotions. I don't know when I will see such movie next time but I am confident now that maker of difficult movies like Metro & Barfi will 100% make mark in history of Indian cinema.